Teen books don’t really have a lot of numbers in the ‘animal story’ department unless you count werewolves. So I would just like to add, for those of you who still might enjoy a good dog story or horse story or chimp story, there are some titles out there. Reading these books might make you just sit back and relax into the story and then you let it go. 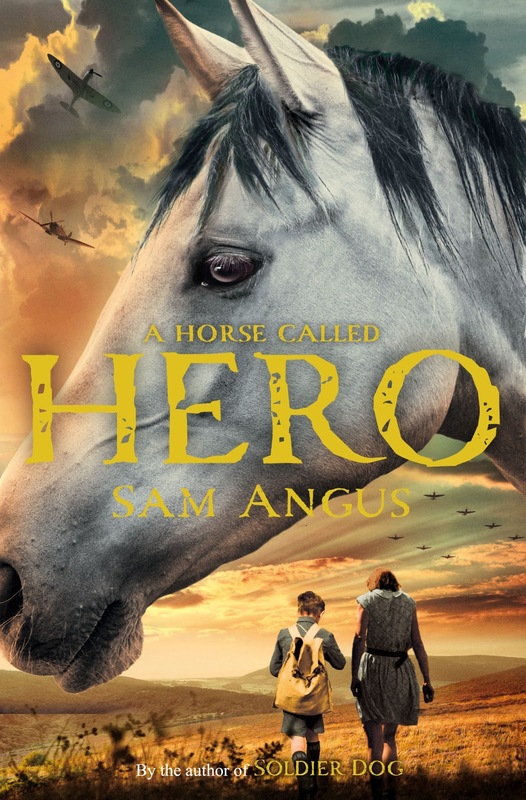 Recently I read Sam Angus’ ‘A Horse Named Hero’ set in wartime England. While not a perfect book I was led to other lives as they experienced the war (children and adults) and the importance and nature of horses and ponies as ‘friends’ and work animals. Young ‘Dodo’ (Dorothy) and ‘Wolfie’ (Wolfgang) are sent to the English countryside as London experiences the Blitz of Nazi Germany. Their father, a WWI hero, is missing in Dunkirk and their mother is dead, so the housekeeper seeks safety for the children in the countryside where so many of the urban children were ‘quartered’ during the Blitz. Wolfie is enamored of horses, especially the little tin horse named Captain after the horse his father rode in the first World War. Tin Captain is one of his anchors as he and his older sister are flung into a stranger’s home until father is found and the Blitz is over. Perhaps all this would have worked for them had their father not been found and charged with treason – disobeying the direct orders so he could save his men. He is the only witness to a horrific crime and must prove his innocence. Townspeople turn against them and they are taken in by their young teacher and her father, the church rector. The horse part starts when Wolfie comes upon a foal whose mother has died. He is determined to save the foal and therein, we meet ‘Hero’. One gets a sense of English life in coal country where pit ponies live underground to serve the coal company and work til death and daily life is filled with nuances of making do and living with the personal opinion of who you are in the ranking of the community. Hero does grow and survive. The story carries throughout the news of Dodo’s and Wolfie’s father and his fight to save his honor. When Hero is stolen, though, Wolfie becomes a different boy. He will keep looking for Hero until he finds him. The book is historical fiction as well as a story of the relationship between man – or boy – and beast and the debt we often owe but do not repay to our animals. It’s not complicated and not a high school read, but as I said, sometimes those ‘Marly’s’, ‘Racing in the Rain’, ‘War Horse’, ‘Endangered’, ‘Black Beauty’ books are just what a rainy afternoon demand. Sam Angus also wrote ‘Soldier Dog’. Click on Sam Angus for her website. Well, yes, it’s not what you think. Here’s what it is and will be…. OPEN TO ANYONE 13 years and older who WANT to learn the fine art of comic and cartoon drawing. Andy and Veronica are….Graphic Artists from the Worcester area, professionals highly regarded in their field, authors and illustrators, OLD FRIENDS of SPL who are invited back because they are SO fantastic at what they do, ready to show YOU how to refine and improve your talents as a cartoonist. NO FEE. REGISTRATION AT www.sandwichpubliclibrary.com, Events. Registrations starts September 1st. Check out the Kickstarter page for the ‘Geeks and Greeks‘ campaign coming to an MIT near you, hopefully, in June of 2015. Andy is the artist. Summer of the Spark….gone and not forgotten. 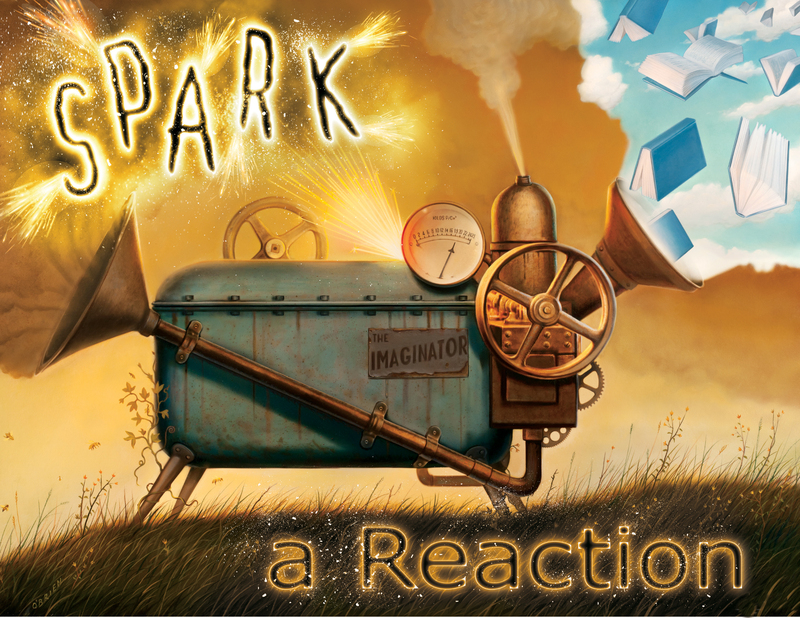 Addendum to Summer 2014: 38 online Spark a Reaction participants, 61 reviews (decent, yes! ); Steampunk workshop with Nettie Berkeley (positively divergent); Survival of the Fittest Workshop with Matt Gabriel (eating off the lawn and more…), Teen Fiction Craft Workshop with Kate Conway (write it, write it, write it, write it, ad infinitum) and the Hunger Games Wrap at Town Hall (Big Picture? A great turnout and some lucky raffle winners + CAKE!). I suspect you all had a busy summer, and if not, that’s good, too, because summer should be about the relax, the wait and the gotothebeachnowandhangwithfriends moments. 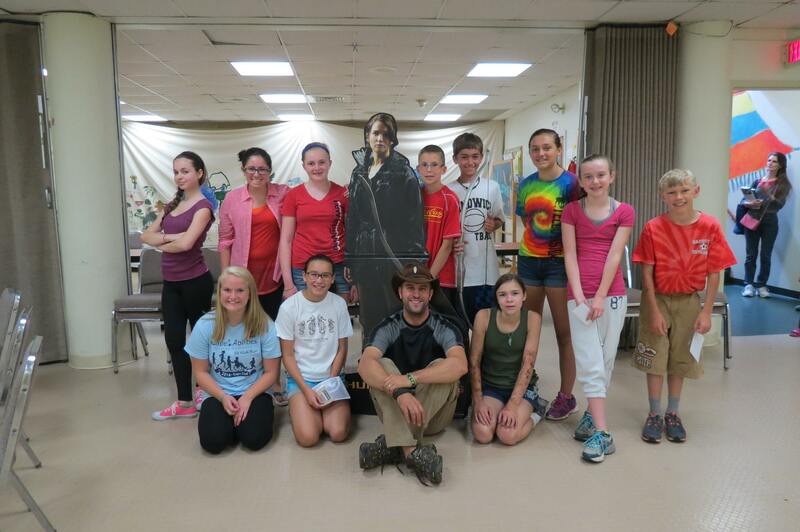 Must thank the Sandwich Kiwanis Levreault Trust and the Sandwich Artisans for their generous grants that make a lot of the children’s and teen programming possible. So onward…already in the works is the return of Andy & Veronica Fish with a Comic Art Workshop open to anyone over the age of 12 years. 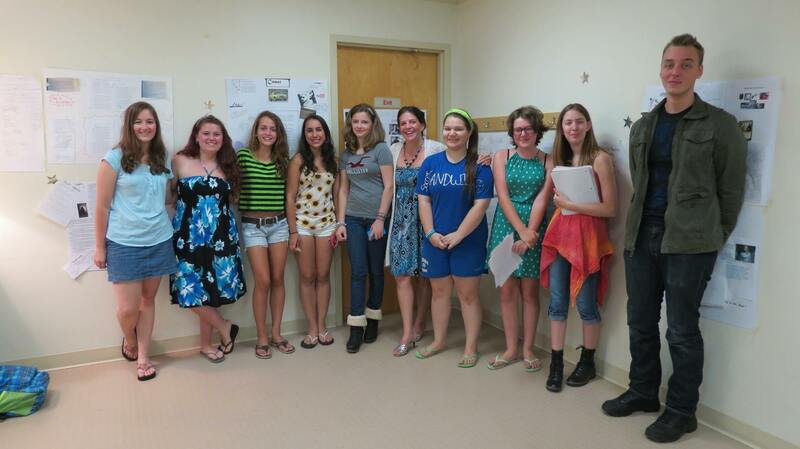 Still must plan for more….WHAT’S ON YOUR MIND FOR A YA PROGRAM AT THE LIBRARY? 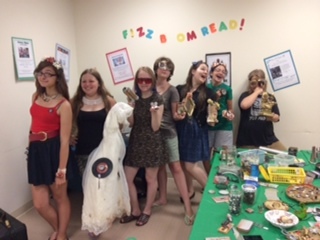 Which reminds me of the wonderful Teen Volunteers (TVs) this summer who did everything from scoop ice cream, perform hazardous science experiments, shelve way too many books, wrote reviews, cleaned up and showed up when needed. You are the best! Now, how to entertain you and get more of you to hang out here (when not volunteering)…suggestions? Gosh, if I go on much longer this will be a ramble instead of a post. 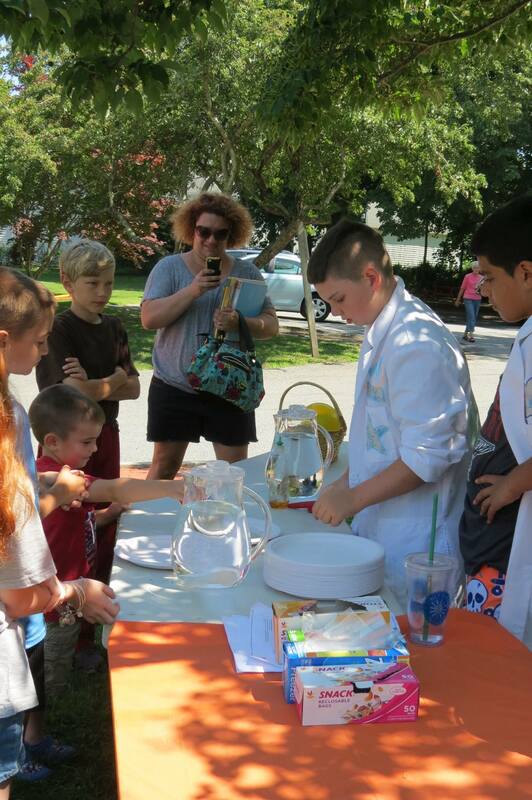 Thanks for the spark of Summer 2014. The Edge of Nowhere…no, it’s not off Cape Cod. Locationally speaking, I will perk up at stories set in locales I am familiar with by experience. Like Kate Conway’s Undertow set on Cape Cod (paramnormal intrigue), location, location, location is important in telling a tale. 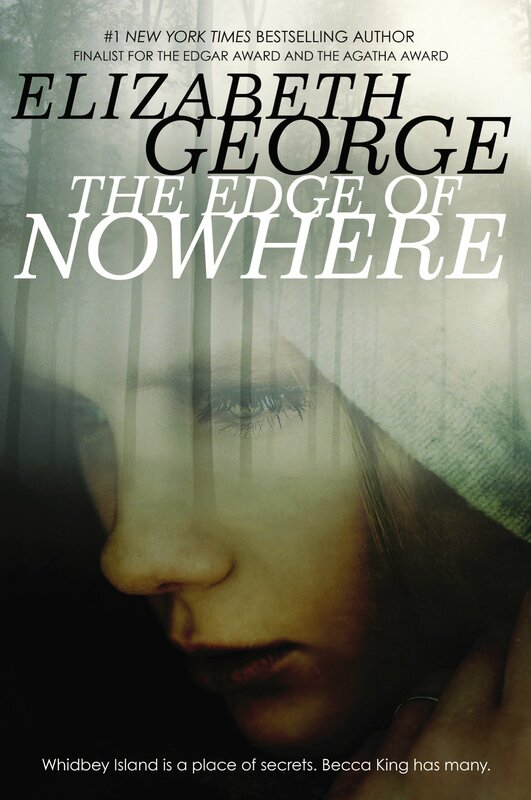 Elizabeth George’s The Edge of Nowhere is set on lovely, out-of-the way Whidbey Island in Washington State. That’s my old stomping grounds (Just think of how I felt when Twilight came out…Forks, WA, no less!) and I love the author’s adult mysteries – all set in England- which have been made into PBS Mystery shows as well. Numerous adult authors take on writing YA fiction because: 1. It’s SO lucrative! What a hungry audience; and 2. Maybe they just want a fresh new batch of adoring fans. I don’t know, but that makes me leery sometimes of a book written by someone who is making big bucks with their adult fiction. Not so with Ms. George. She’s good so I launch into the book feeling pretty positive. It was a good choice. 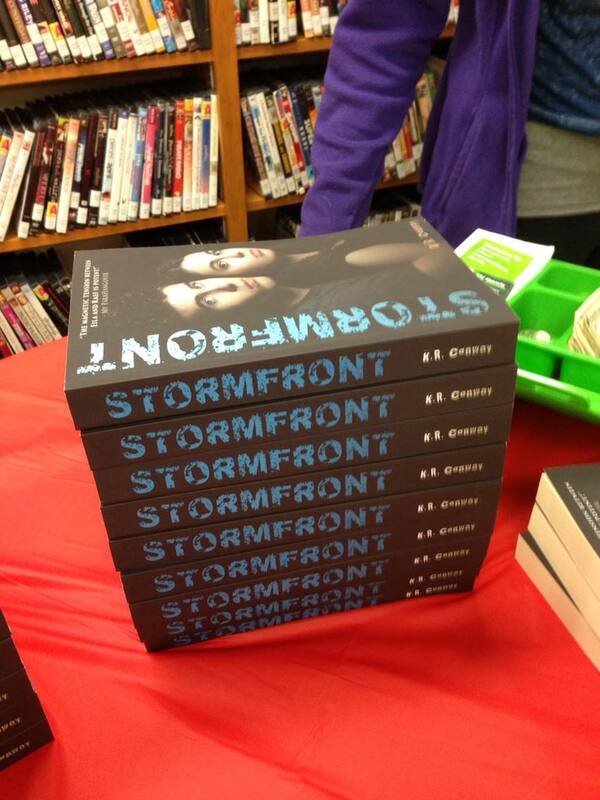 Not stupid, not pandering, not just an adult writing for teens, the characters are authentic and dimensional. I think you are going to like this book. It is the first in a set of four about Becca King. The second book which we also have is The Edge of the Water. From Cape Cod to Washington State, location, location, location can make a great read even more irresistible. Whidbey Island may be only a ferry ride from Seattle, but it’s a world apart. When Becca King arrives there, she doesn’t suspect the island will become her home for the next four years. Put at risk by her ability to hear “whispers”—the thoughts of others— Becca is on the run from her stepfather, whose criminal activities she has discovered. Stranded and alone, she is soon befriended by Derric, a Rwandan orphan adopted by a local family; Seth, a kindhearted musician and high school dropout; Debbie, a recovering alcoholic who takes her in; and Diana, with whom Becca shares a mysterious psychic connection. This compelling coming-of-age story, the first of four set on Whidbey Island, has elements of mystery, the paranormal, and romance. Elizabeth George, bestselling author of the Inspector Lynley crime novels, brings her elegant style, intricate plotting, incisive characterization, and top-notch storytelling to her first book for teens. 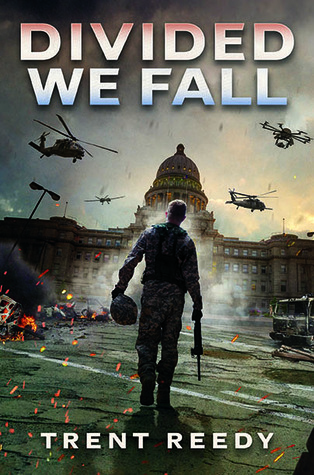 Danny Wright never thought he’d be the man to bring down the United States of America. In fact, he enlisted in the Idaho National Guard because he wanted to serve his country the way his father did. When the Guard is called up on the governor’s orders to police a protest, it seems like a routine crowd-control mission … but then Danny’s gun misfires. 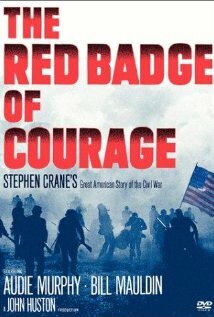 Young Henry Fleming used to play soldier and dream of being a hero, but when he faces his first battle — the Battle of Chancellorsville — he finds that heroism is not what he expected.